Today, the competition between real estate agents have steepened. Everyone is trying to catch the attention of the clients. This is why intelligent marketing is no longer an option, but a necessity. If you are getting started as a real estate agent, or have been in the business for a while, there’s one crucial thing that you need to understand. Although marketing might not be your cup of tea, it is essential that you make it part of your business. Today, companies are striving to differentiate themselves from the rest so that they can catch the client’s attention, and if you do nothing about it, chances are, you’ll lose out. 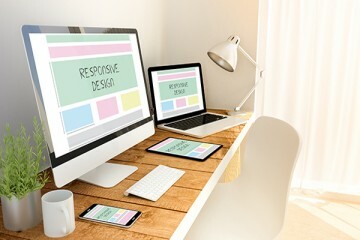 There are plenty of platforms that provide easy-to-use templates that allow you to design your own website in days, you may be tempted to use this to present your work, but don’t. While these platforms provide a cost-effective way to display your business, you won’t get the best. Besides, you might not be a professional, meaning; there’s a lot that could go wrong. Websites for real estate agents need to be highly interactive, easy to navigate, responsive, well organized and should integrate plugins that make communication easier. A professional is your best bet for having a website that converts traffic into buying clients. Even a normal eye can differentiate between a quick snap and high-quality professional photo. 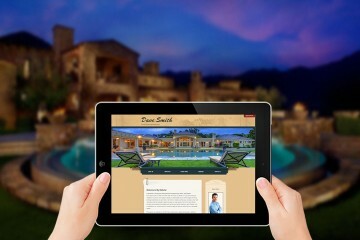 Real estate business is all about visual presentation. A client only calls in if they love what they see. If they are trying to find a new home and all they see is a grainy, blurry image with strange angles, it’s highly likely that they won’t have a positive impression of the home. It’s one thing to have a website, and another to include quality content that offers real value to your prospects. According to statistics, clients are highly likely to buy from a site that provides informative content, than those who don’t. So having a website or websites for real estate agents is not enough, you should regularly post content that offers real value. Besides, using content is one of the best ways to get organic traffic to your site. You may have realized that these days, people spend most of their day on social media; so it only makes sense to tap into that market. Take time to come up with valuable content and share them on your social platforms. Don’t forget that consistency is critical. A mistake that most real estate agents do is only to share the listings. Don’t do that – you’ll lose out. The best approach is balancing between the listings and exciting and informative content that people can read and even share. For most people, selling, or buying a house does not happen many times in their lives, however, when it does happen, you’ll want to be the agent who gets the call. So, you should make it part of your business to send email newsletters frequently, and don’t forget to pack it with plenty of valuable information.